The team created the first known replica of a small cell tumour subgroup called C-MYC in mice. This group, which is based on genetic differences, makes up around 1 in 5 patients with small cell lung cancer. They found that C-MYC tumours look different to other tumours under the microscope and are very aggressive – growing and spreading faster. And they also responded differently to treatment. Writer Gregor Hens doesn't smoke anymore, but he used to — a lot. And as he explains in his memoir, Nicotine, he still thinks about it every day. The report states that, while effective measures to reduce smoking rates are available, they don’t yet cover the vast majority of the world’s population. And where taxes are used, the money is rarely invested in health programmes. A pilot study in the East Anglia region has taken a novel approach to increase access to testing for the BRCA1 or BRCA2 mutations thereby offering a more precise diagnosis to more women and enabling more targeted treatments for patients or risk-reducing options in unaffected family members. 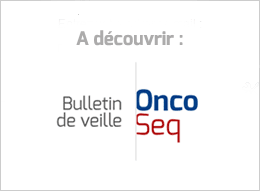 "With the advantage of the NKG2D mechanism of cell targeting used by NKR-2, Celyad is able to run the THINK trial in multiple cancer types," he added, although he cautioned that this broader activity could raise the risk of side effects. However, this small trial with limited follow-up is woefully insufficient to justify combining chemo and Keytruda for the vast majority of patients with non-squamous NSCLC, regardless of PD-L1 expression. I see it is a marketing-driven decision, not what is best for patients, and it is a deliberate move toward “imprecision medicine”. The U.S. Supreme Court on Friday agreed to hear a dispute over whether companies that make copycat versions of biologic drugs must wait six months after winning federal approval to begin selling them. Through a medical research and drug development program, Merck KGaA and Palantir will develop a collaborative data and analytics platform to enable the application of bioinformatics and real-world data in developing patient-targeted treatments. The company was co-founded and backed by billionaire Thiel, a man involved in the Trump transition team and with two of his known associates also meeting the PEOTUS on Thursday to discuss taking on the commissioner role at the FDA, as Silicon Valley appears to be making greater inroads into the biopharma business on all sides. The deal with Merck is the largest Palantir has secured in the drug and pharma sector, eclipsing arrangements with other companies including GlaxoSmithKline Plc. Palantir CEO Alex Karp said his company will have software developers on the ground in Germany to work with Merck, and he anticipates the partnership could last about a decade. The focal point of the deal is NT219, an IRS-1/2-targeting drug designed to improve the efficacy of other cancer therapies by stopping tumors from developing resistance. "[My oncologist] said if Kadcyla were ever going to be withdrawn, they'd be chaining themselves to railings... it was unthinkable it would be no longer available." He was studying samples of chronic myeloid leukemia — a disorder of the blood and bone marrow then considered a death sentence — and happened to wash his slides with tap water instead of a laboratory solution. Viewing the newly cleaned slides under a microscope, he saw that the water had caused the cell’s chromosomes, the threadlike carriers of genes, to expand. "This cancellation was a reflection of an unprecedented 6% rise in attendances to our emergency department which increases the pressure for beds within the hospital - including intensive care beds." In an alarming escalation, the previously unthinkable step of calling off cancer surgery has become more commonplace in the last fortnight, as a rapid increase in patient numbers has placed intolerable pressures on beds and staff. My surgeon refused to predict my future and told me to ignore my survival odds, which were a low 9 percent. He pointed out a cognitive error that people make when looking at statistics. If you survive, he reminded me, you’ll survive 100 percent. No one survives 9 percent. No one is 9 percent dead. Publications such as Nature and Science have policies that clash with the global health charity's open-access mandate. Channel 4 and Cancer Research UK have teamed up to air a colonoscopy being performed live on a patient in what the two organisations claim is a world first in broadcasting. In short, treatment is where the money is. In short, prevention is where the money is not.